Baahubali 2 Review Rating: The first movie review of Bahubali 2: The Conclusion, one of the most anticipated movies of 2017, is out. Dubai-based film critic Umair Sandhu has published his thoughts on micro-blogging platform Twitter. The critic living in UAE gets to watch the Bollywood films one day before it releases in India. He has given 5-stars to Bahubali 2. The Dubai premiere of Baahubali 2: The Conclusion took place last night. There were stars likes of Anushka Shetty and Prabhas during the screening. 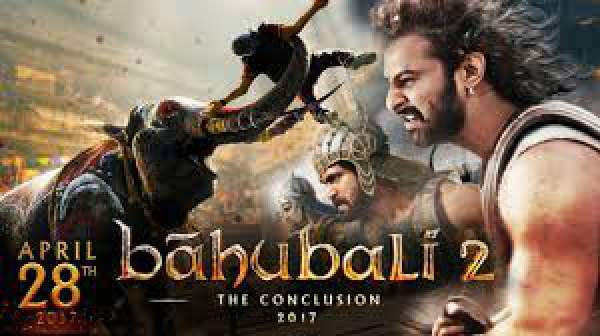 Sandhu has written Bahubali 2 movie review in detail comparing SS Rajamouli’s magnum opus to the best of Hollywood. He has appreciated the star performances along with the supporting actors. He appreciated the director for dreaming big. Check: Why Kattappa Killed Bahubali? Answer is here. Check: Baahubali Box Office Collection. In related news, the Baahubali 2 advance booking has bee suspended for all the three versions/languages – Hindi, Tamil, and Telugu. It is because the Central Board of Film Certification (CBFC) hasn’t given it a certificate yet. Bahubali: The Conclusion is the sequel to 2015 release. Bahubali 2 release date is April 28, 2017, Friday in India. Don’t forget to write movie Baahubali 2 review in comments.